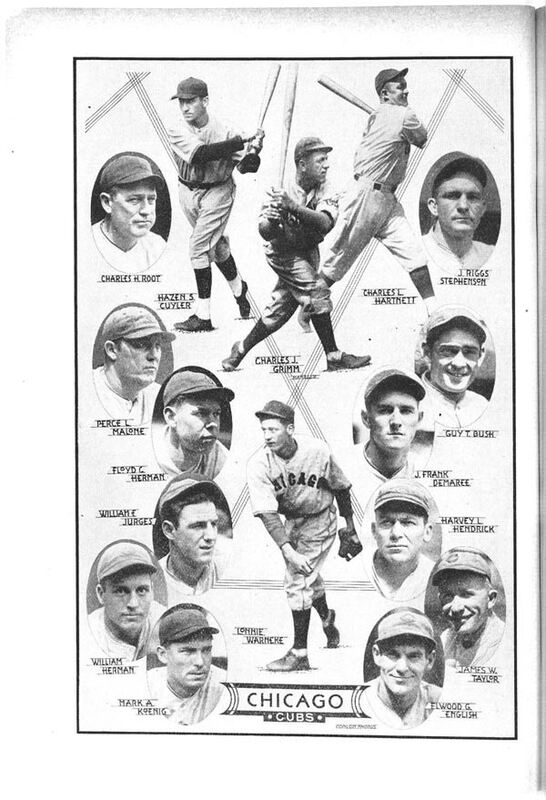 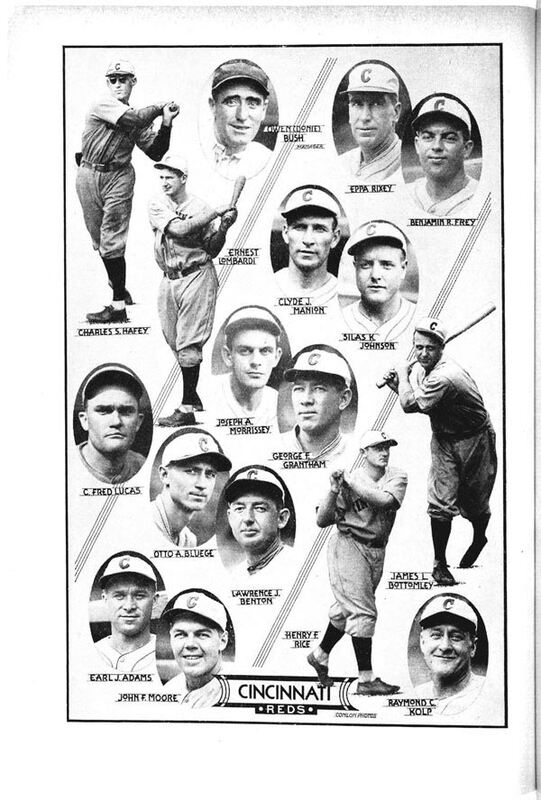 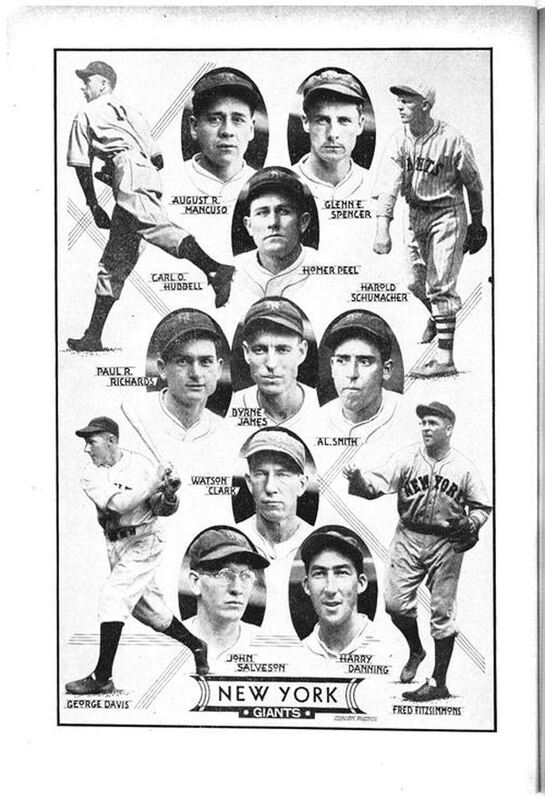 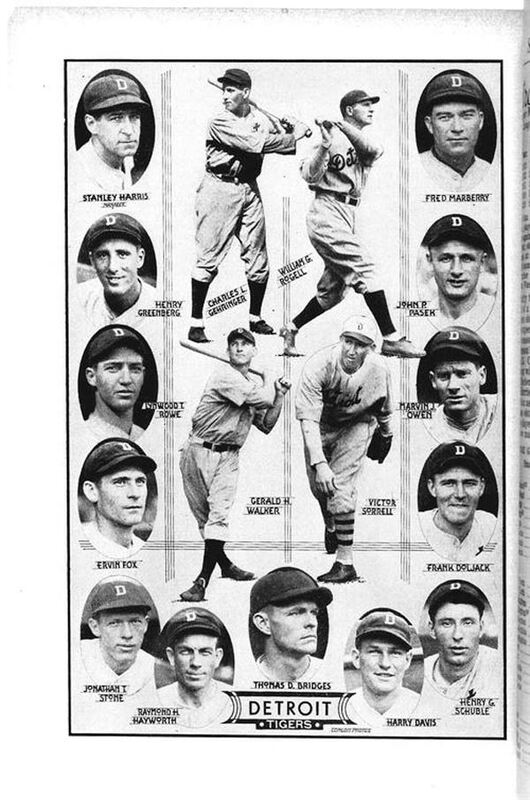 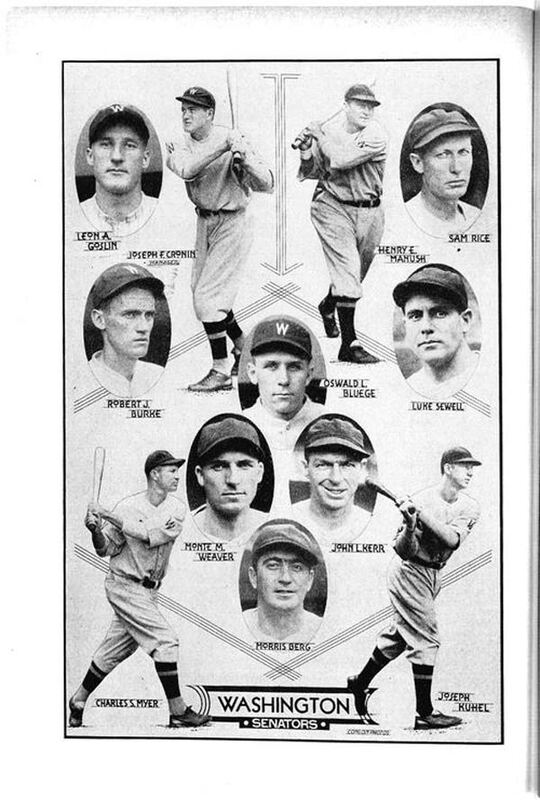 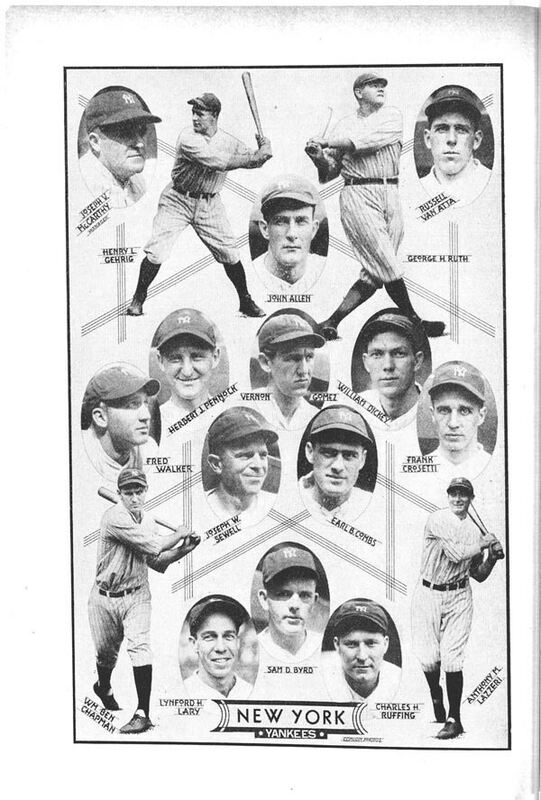 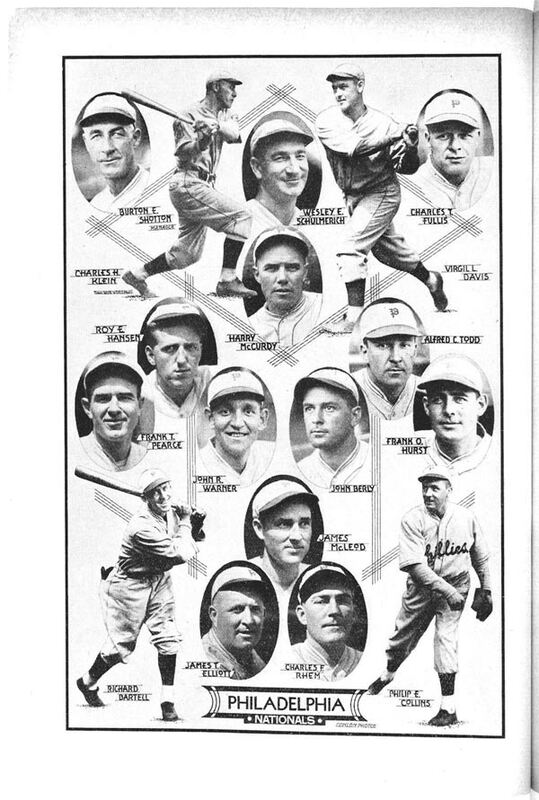 I just read the Spalding’s 1934 Official Baseball Guide — cover to cover — and learned a BUNCH about the 1933 season. 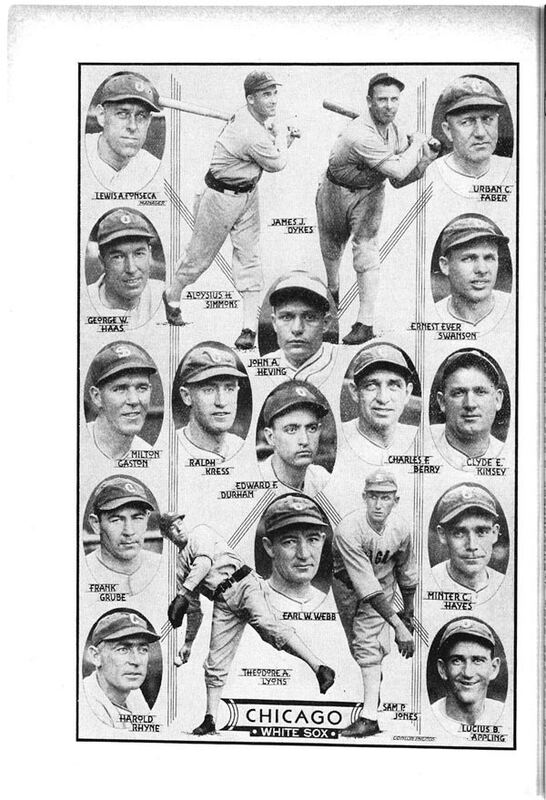 One thing I thought was great was the fact that had photos of every player on every major league team. 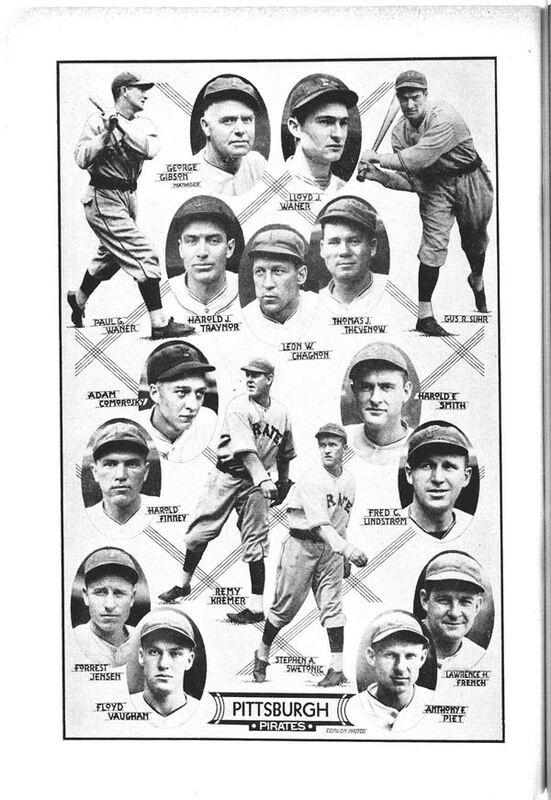 Many of these guys I had only read their names, but never had actually seen a picture of them. 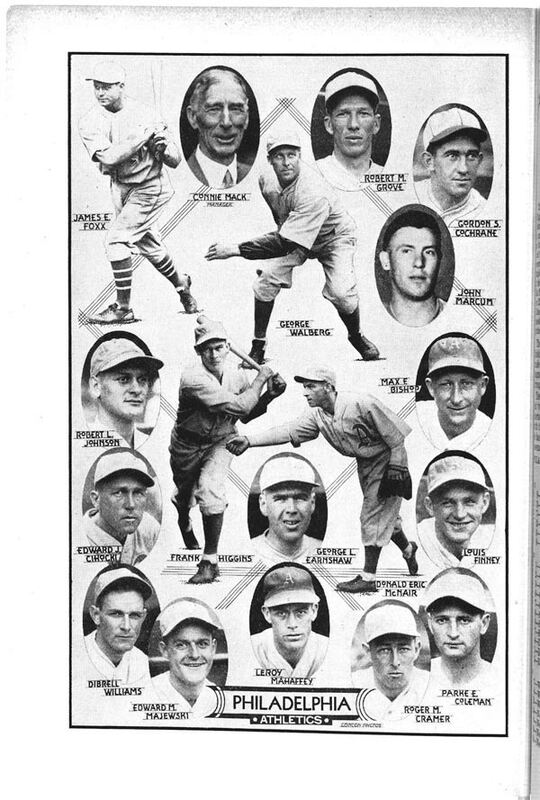 Gotta love the Library of Congress — except that it makes it so hard to find these things sometimes. 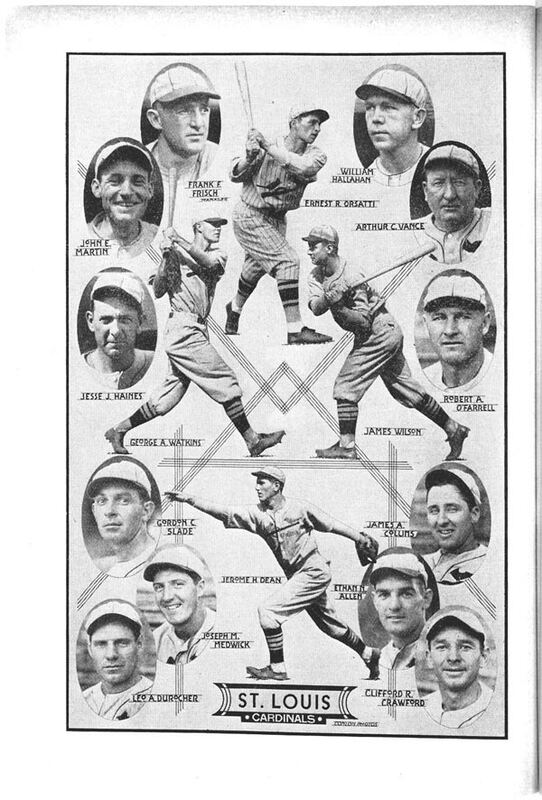 I guess that’s why you’ve got us! 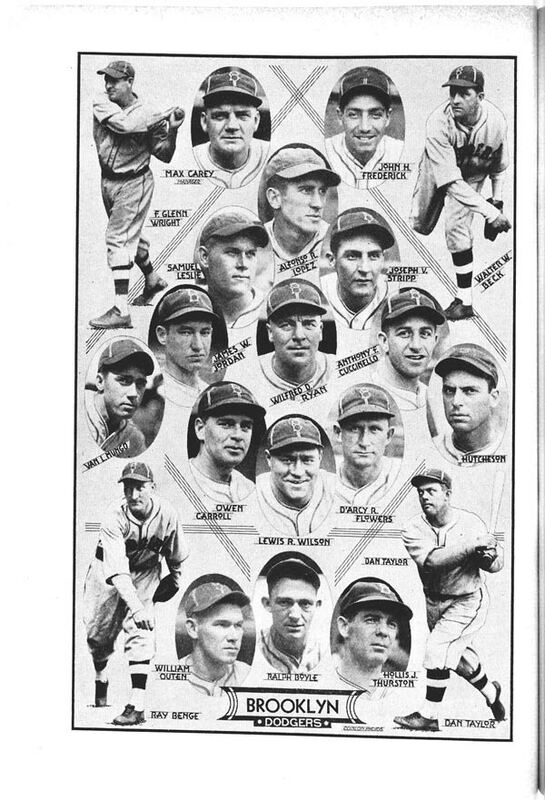 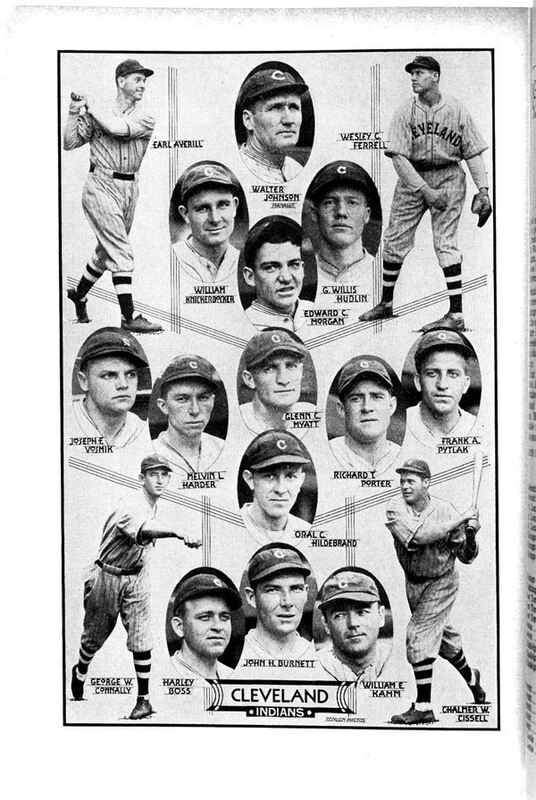 The 1934 “Gashouse Gang” Cardinals won the World Series that year, beating American League pennant winners, the Detroit Tigers. 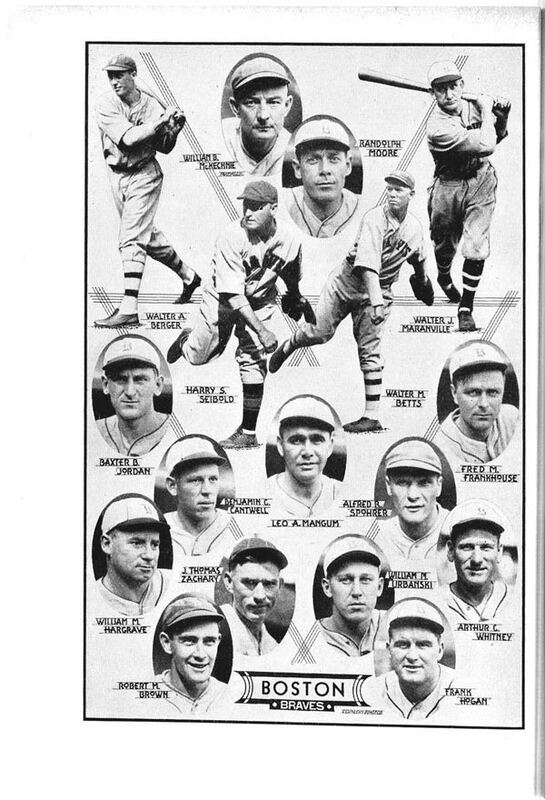 Jimmy Foxx and Chuck Klein were the top hitters in baseball. 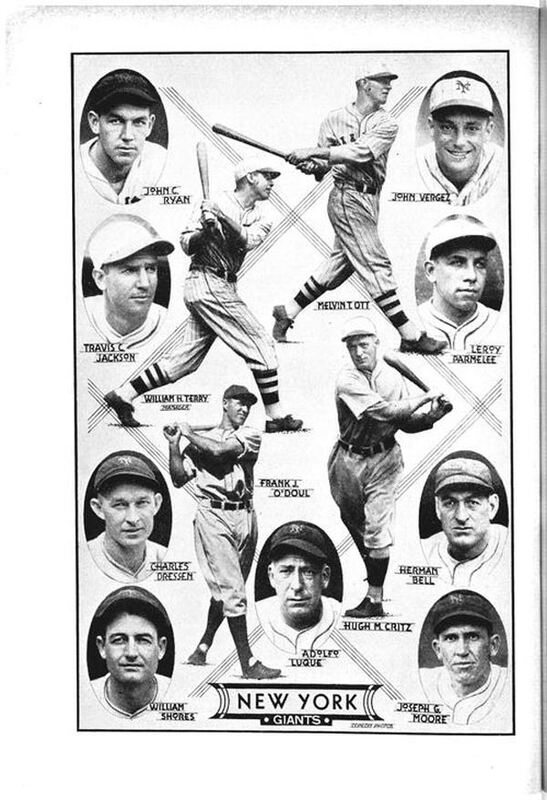 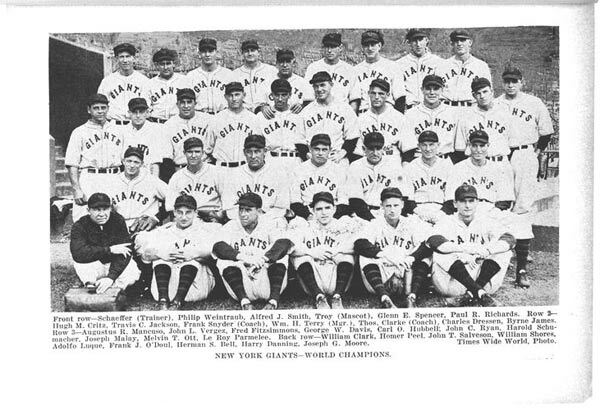 1933 is the only year that there was a Triple Crown batting title winner in both leagues. 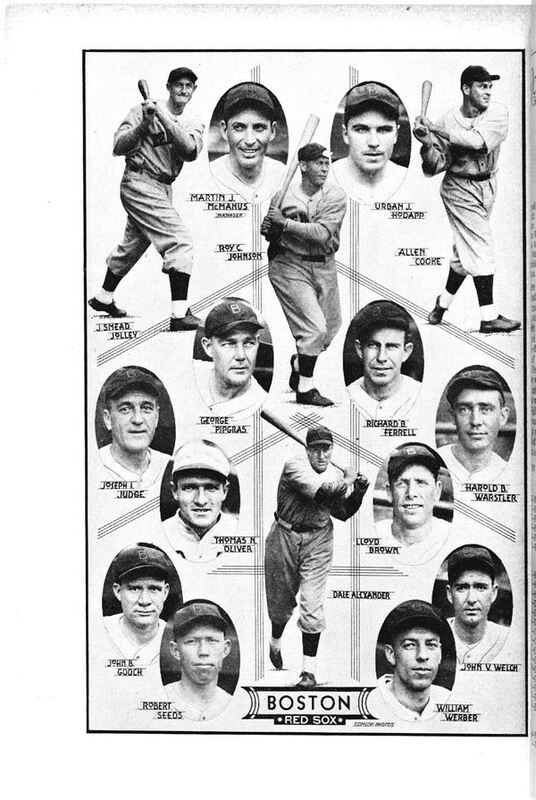 It was a Philadelphia Double Triple. 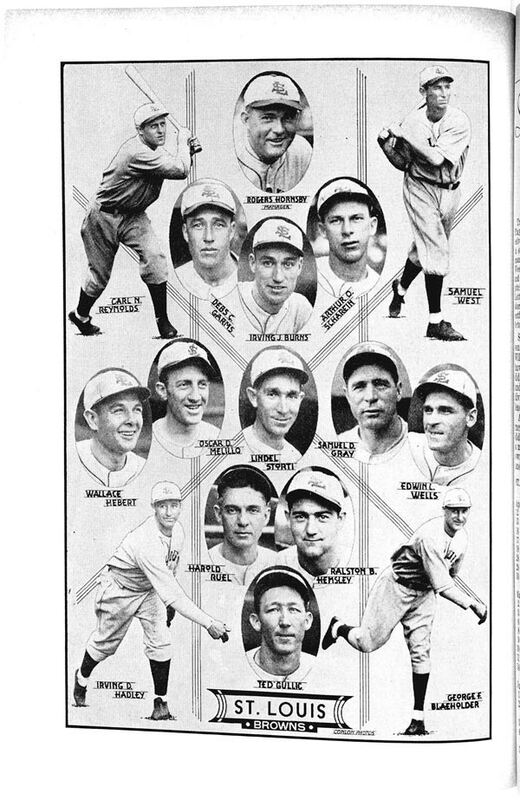 Jimmy Foxx for the A’s and Chuck Klein for the Phillies.